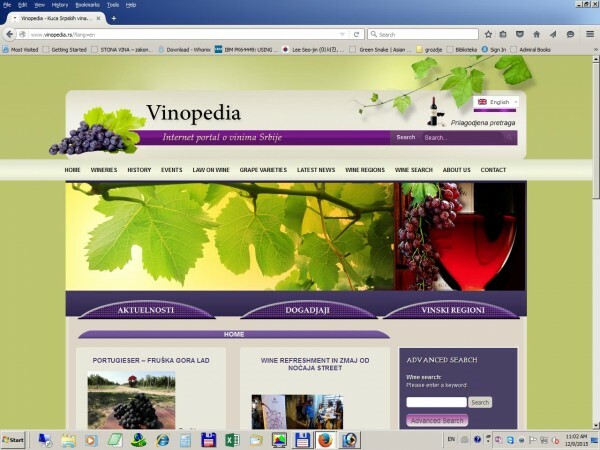 This is definitely the biggest repository of information in English about the wines and wineries in the area of the Republic of Serbia. 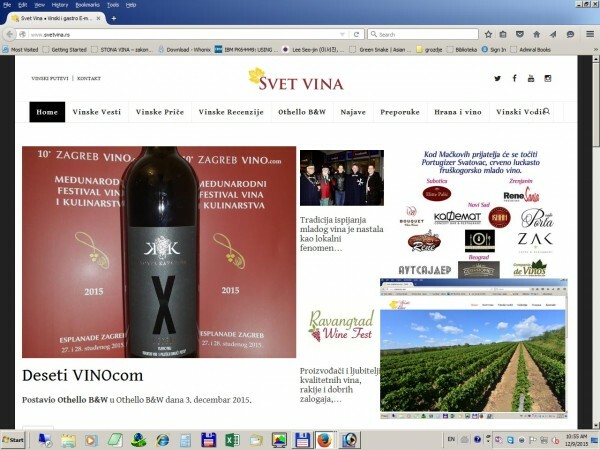 Blogger Mr. Tomislav Ivanovic is truly a lover of wine, and for last 5 years he commands great effort to show Serbian wine and wineries on the Internet. Mandatory bookmark for anyone interested in Serbian wine. 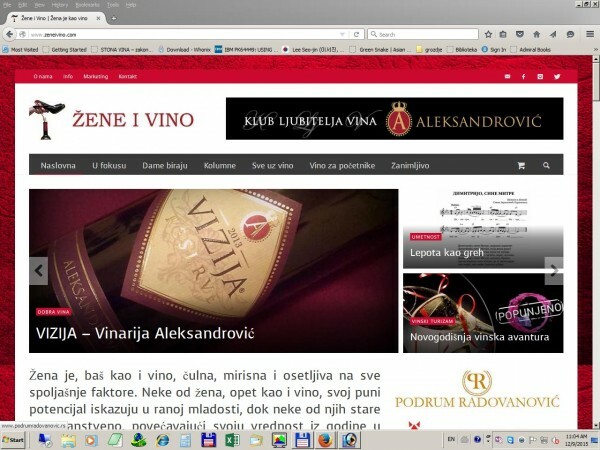 Wines of Balkans is a digital wine marketing agency founded 2012 , Owner MR Dusan Jelic likes to say that their mission is to ” propagate wine culture in the Balkan region, share relevant information and connect wine lovers from all over the world”. . 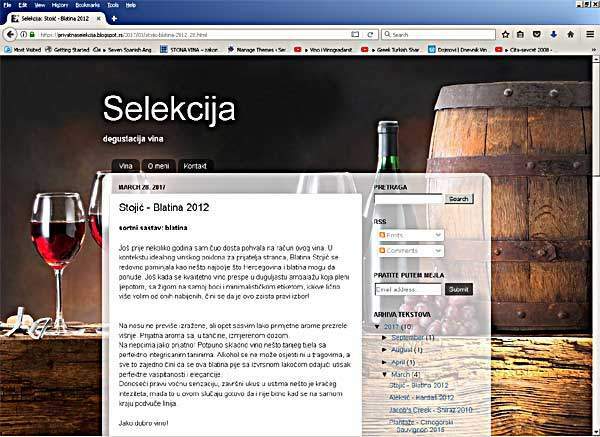 In recent yrs Mr. Jelic switched his activity mainly on social networks, but it is a good starting page for those who want something to learn about the wines production, from all Balkan countries. 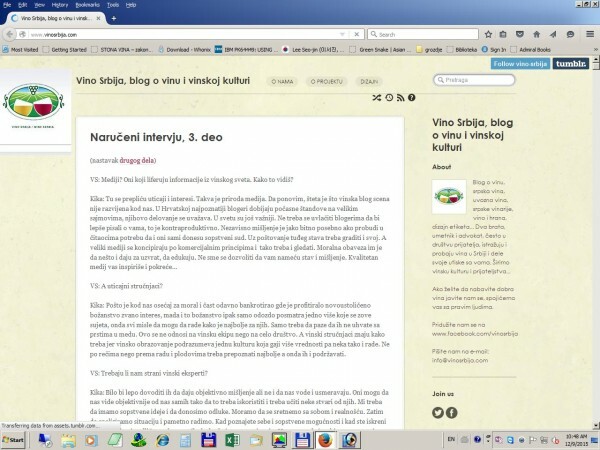 The electronic journal of above which stands practically only one man, Mr. Nenad Andric. His perseverance and clearly defined attitude and style (the man who goes in small steps is coming the farthest ) managed to impose itself as one of the most influential wine magazine here. 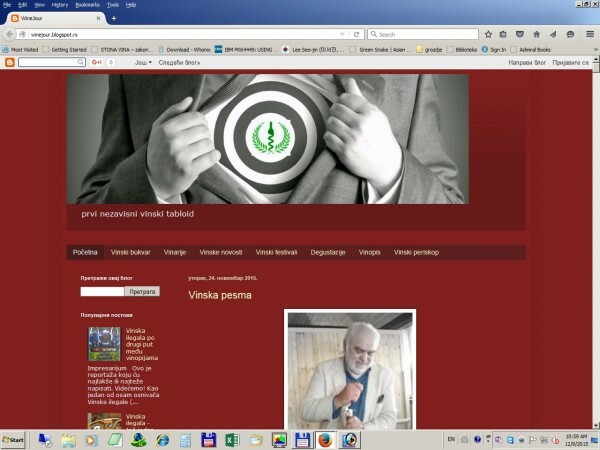 When in Serbia mention a wine blog, first association is this and his owner Mr Perica Radivojevic. 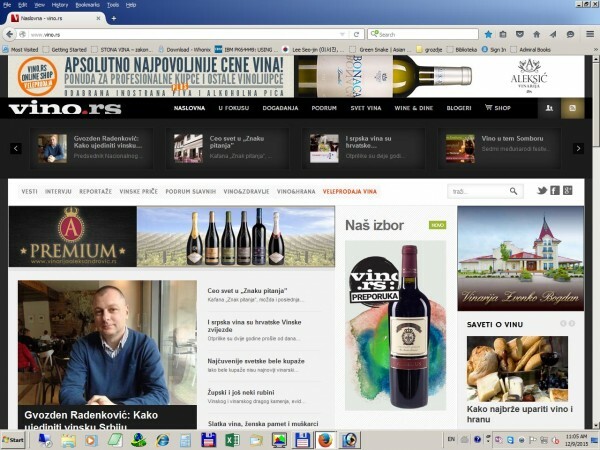 Another man who was by virtue of his way of writing, become very influential in the Serbian wine scene . A true wine lover, a good writer, a man to whom readers trust. Great writer, his writing is always refreshing and well-read., because each article compelling nice personal touch. a serious candidate for the the best independent wine critic here.. Unfortunately only in Serbian. 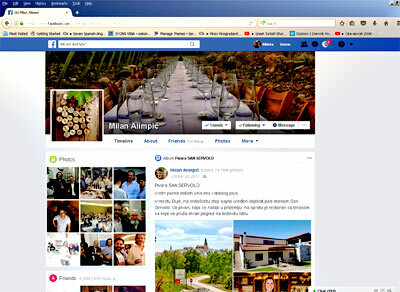 Mr Dragoilovic is a great connoisseur of wine and wine culture and its FB page is still a reference for many wine lovers here. 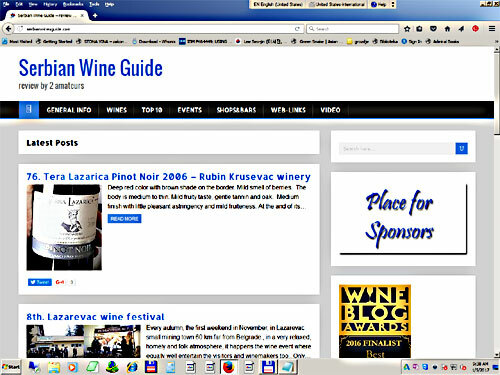 New hope of wine written word in Serbia, conceived as a comprehensive portal of wine events in Serbia, There are also a part of the English lanuage http://www.serbianwineexperience.com/. where wineries are shown on a geographic map with GPS coordinates. 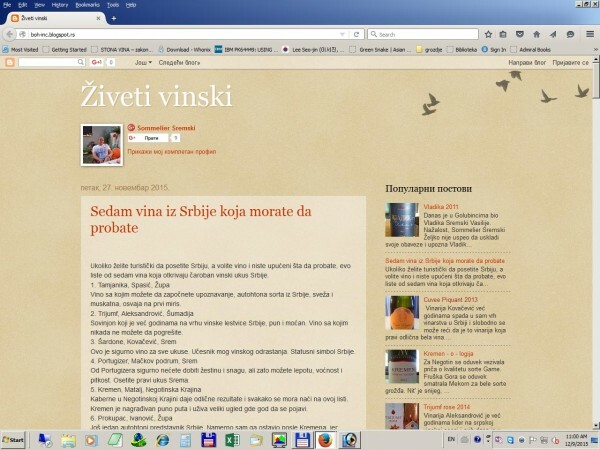 Personal blog of great lover of wine, Zeljko Bohinjec, acca Somelijer Sremski . The man writes for his own pleasure, with full information and observations about local and international wines. 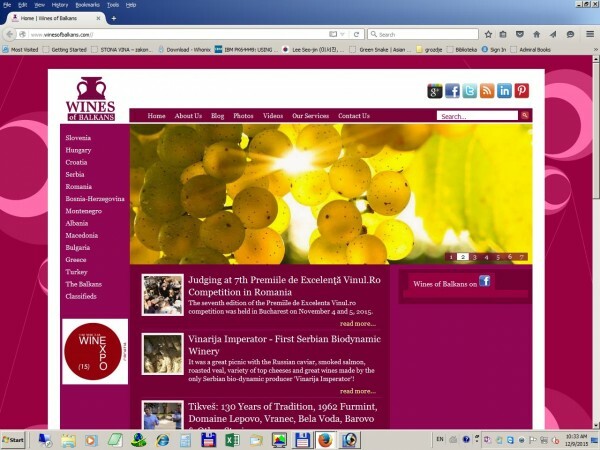 .Page which is compulsory for all interested in local wines . Need a little self-promotion to become highly influential. 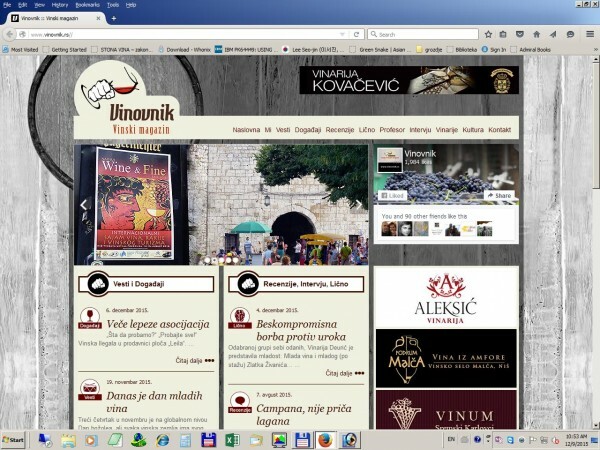 New web portal that has the ambition to follow events on the entire wine-beer-spirits scene of the entire region (Slovena-Croatian-Serbian) They invest huge efforts to realize it, which is certainly to respect. A lot of useful information,( best schedule of upcoming events in the local wine-beer-spirits world). Their time is yet to come, we will see in which way it will develop. This is a real candy, a blog dedicated to Serbian brandies, very informative.. Except descriptions and assessments of various types of brandies, it contains a lot of technical,, historical and ethnological data about production, sell and consume alcoholic beverages in the Balkan Peninsula. 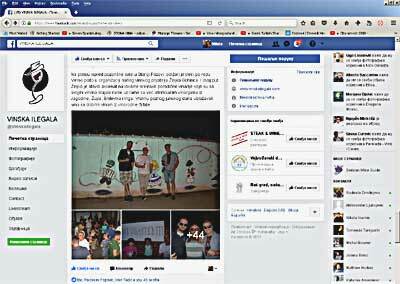 It seems that behind this are very serious people with a clear vision, is pleased to follow. A bunch of interesting and professionally written articles. 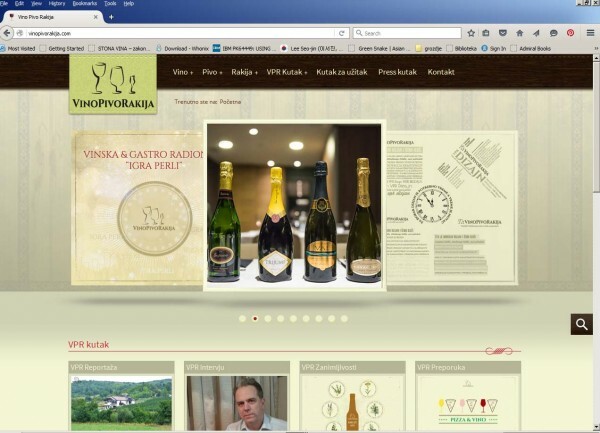 And in my opinion the best designed web site (though, these are ladies :)) who writes about wine in this region. These ladies are very serious and professional and I am very interested in which direction will develop this site. 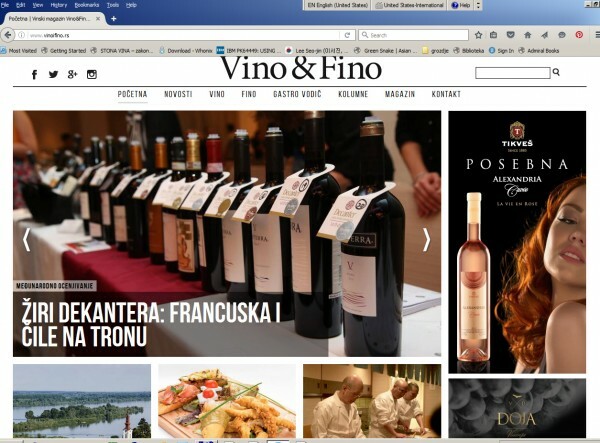 The youngest member of our web- wine populations, the online edition of the journal “Vino i Fino” , (we wrote about it here http://serbianwineguide.com/?p=707) Very ambitiously conceived, large number of people from domestic wine scene appear as a guest-journalist…. We’ll see :). Well another guy who does not have own blog (and I really do not know why ?). So he shares his wines impressions on his FB page. A very informative place about the wines of the Balkans and this part of Europe and the most beautiful photos from wine trips that neither professionals have. Personal diary of a one wine lover. 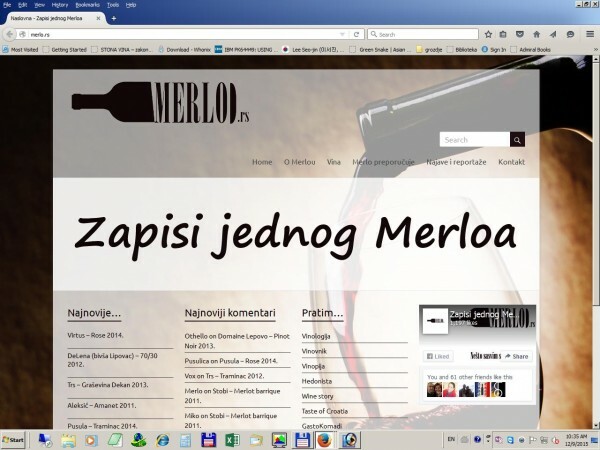 Very charming, except Serbian wine contains of all the other wines that can be found in our market. 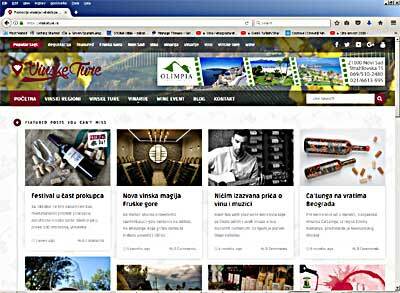 The web site of which is the main topic of wine tourism but it contains many more..
Well that’s us, the hosts, and it is our honor that we are on this list.